Studio sessions are different from family sessions - they are less about telling a complex story and more about creating a beautiful, classic portrait. Studio sessions can include one outfit change for two different looks. All session times are estimated to give you a general sense of duration, but more time will be given if necessary. 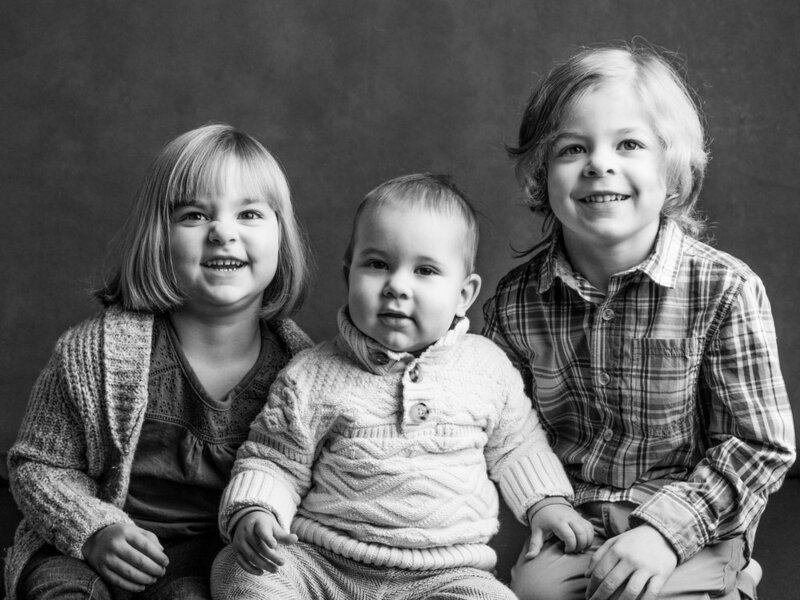 Sessions with more than one child will include portraits of each child individually and together. Studio sessions can be scheduled on most Wednesdays, Thursdays, and Friday mornings. Please contact me for availability. Studio portrait appointments are non-refundable, but may be rescheduled up to 24 hours in advance for illness, etc. Studio portraits are made to be displayed. Although each collection starts with digital files - a good insurance policy, and a fun way to share the photos with friends and family far and wide - I highly recommend choosing a few of your favorite images to be printed and hung in your home. 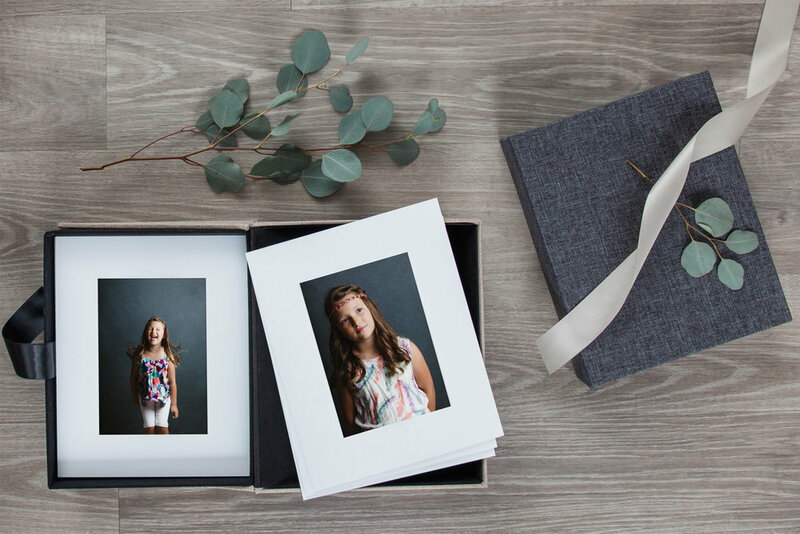 To that end, your digital files will be delivered with a detailed guide to the best printing services, product options, and storage practices. I also hand make fine art prints in my studio that can be matted and framed or boxed for a complete, custom shopping experience. Fine art prints are hand made on archival matte paper, signed and dated by the artist on the reverse, then matted in 100% cotton rag mat. Fine art prints are perfect for framing and hanging on the wall or giving as a special gift. Custom framing is available with several frame styles to choose from.